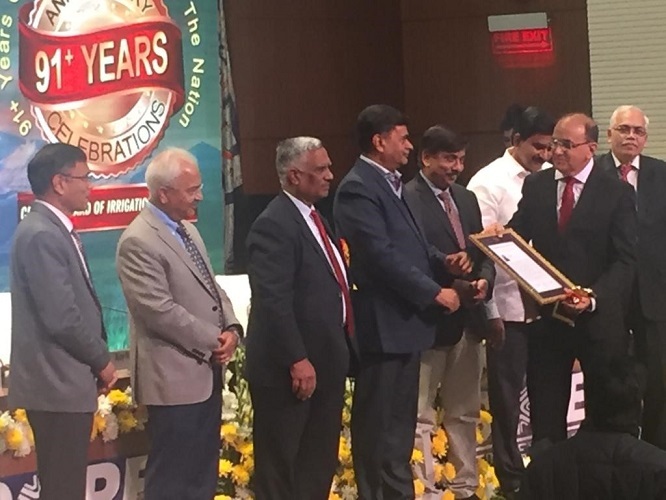 Tata Power was honoured with two awards at the recently held Central Board of Irrigation and Power (CBIP) Awards 2019 in Delhi. Tata Power was honoured with two awards at the recently held Central Board of Irrigation and Power (CBIP) Awards 2019 in Delhi. While the company won the ‘Company Category Award’ for Best Performing Utility having integrated operation in Generation, Transmission and Distribution, Ashok Sethi was felicitated with the ‘Individual Category Award’ for Excellent Contribution in Power Sector Development by R K Singh, Minister of Power, New and Renewable Energy.